Remarks: The restaurant will open on Mon when it is the Lunar 1st or 15th. Nature Delights have 3 branches in Hougang, Serangoon and Bukit Purmei. We will be featuring all the three branches in the coming weeks. We start with the Serangoon branch as it is the largest among the three. 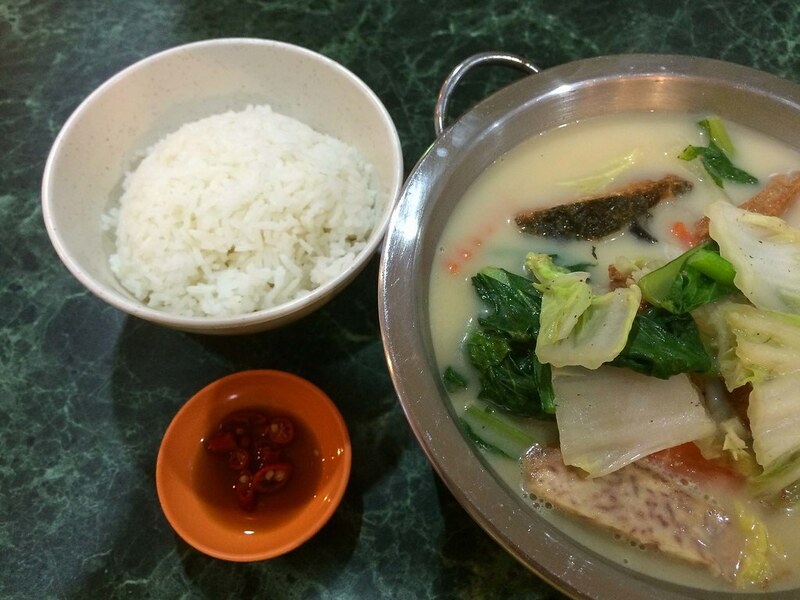 Vegetarian old-timers will remember that the Serangoon branch was located at Teck Chye Terrace. It moved its operation to Upper Serangoon Shopping Centre last year. As it was located way back on Level 4 of the shopping centre and lightings were dim during night-time, some of our female vegetarian friends were apprehensive when walking to the restaurant. They need not worry anymore. Nature Delights Serangoon recently relocates to the Level 4 unit overlooking Upper Serangoon Road. The ambiance of the new Nature Delights Serangoon is now brighter. It has also increased its old capacity to 25 tables. It cleverly tears down the walls of the old unit to give a perspective that it is much bigger. We advise that you come early during the peak dining hours over the weekend as it is usually very crowded. 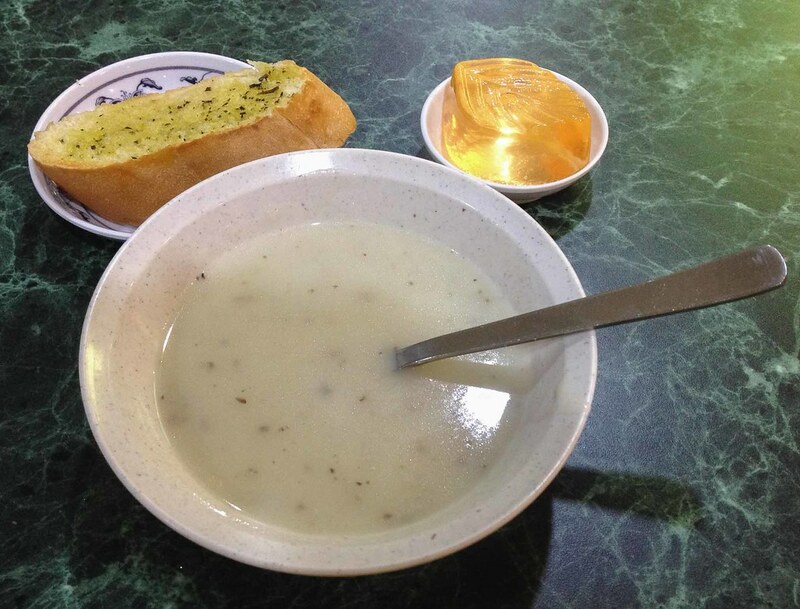 The mutton soup with french toast is a good appetizer. 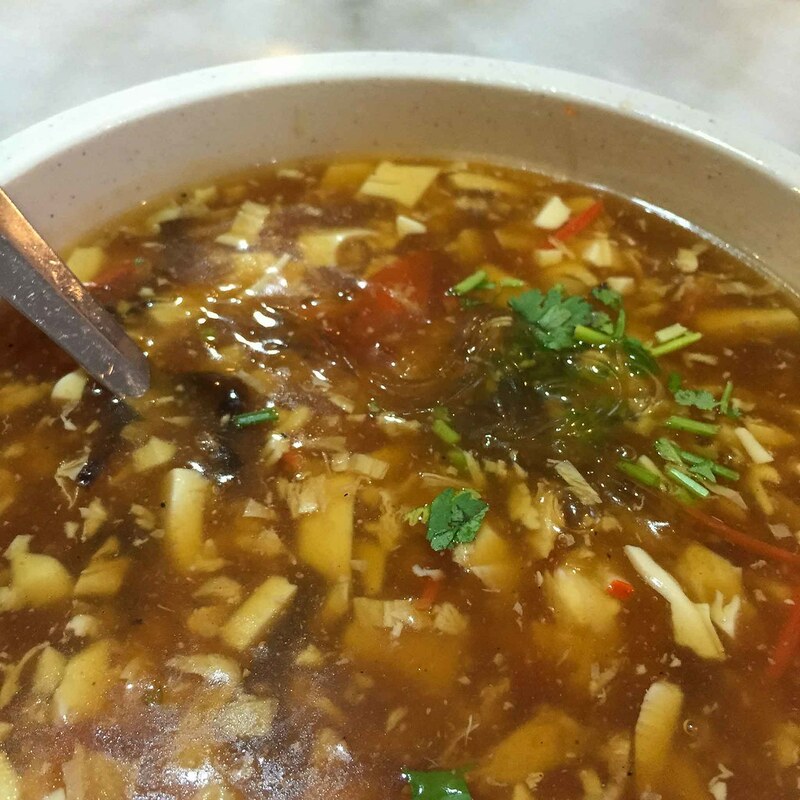 We love the authentic taste of the thick mutton soup, of which you can taste the herbs and spices. It is laden with mock meat. 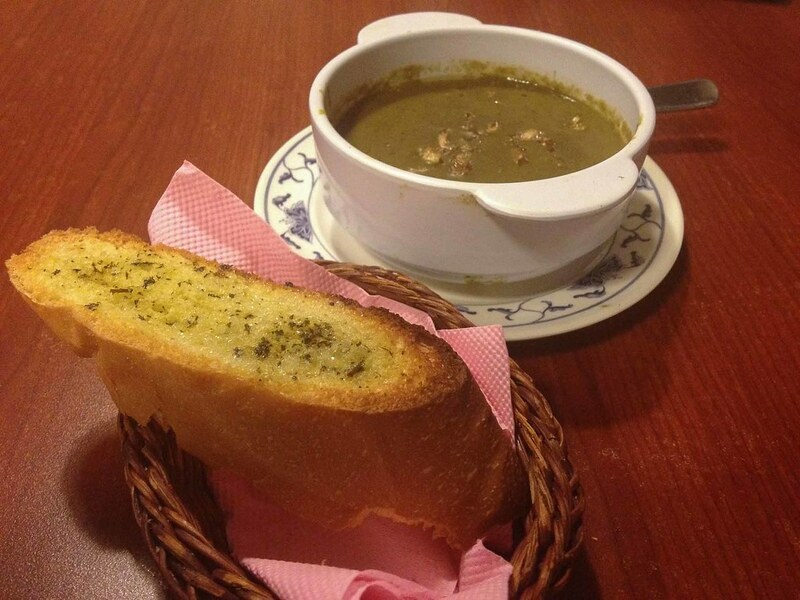 The french loaf resembles a garlic bread grilled with Italian herbs. The serving is only enough for one people so it is pretty expensive. The Dan Dan Noodle (担担面) scores on many fronts. 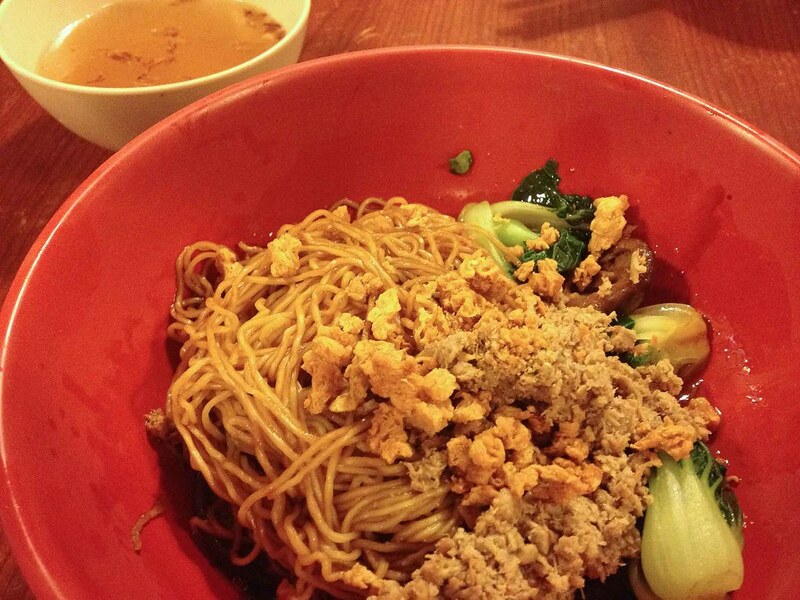 The noodles is well cooked and retains its QQ texture. 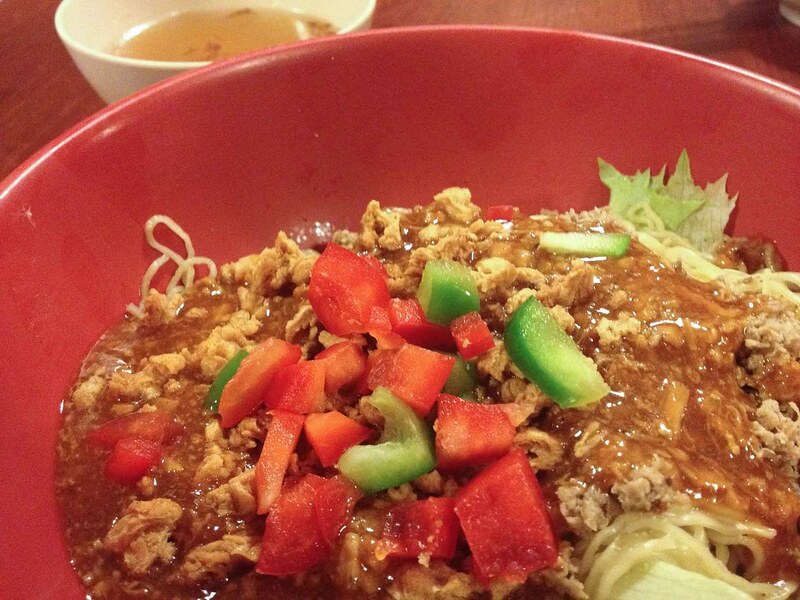 The noodle sauce is mainly tomato sauce which mash up the various ingredients of mock minced meat, diced capsicum and lettuce with the noodles nicely. The Minced Meat Noodle (肉挫面）uses the same noodles and mock minced meat as its main ingredients with mushroom and small green vegetables as the side vegetables. 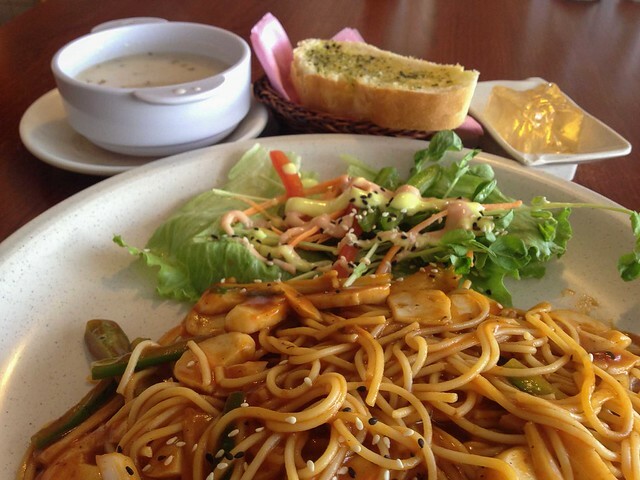 The noodle sauce seem to be a combination of soy sauce and sesame oil. The dish tastes great but if you were to ask us to choose, we will prefer the Dan Dan Noodle. 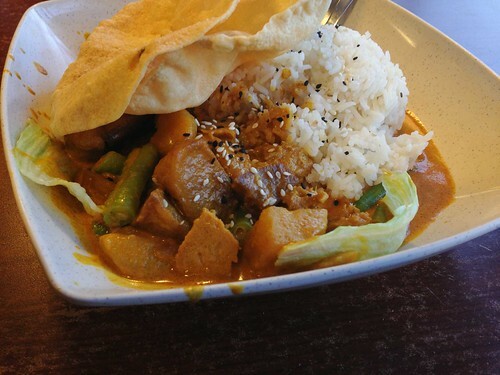 Nature Delights Serangoon used to sell a variety of Roti Pratas on its menu. Now it only sells Ham and Cheese and Black Pepper Prata wraps probably due to lack of its cooking spaces. We confirm that the unsold plain Roti Pratas from Hougang and Bukit Purmei branch are transported to the Serangoon branch for making the wraps. We applause Nature Delights for not wasting food. Also, the restaurant just has to heat up the plain pratas to make the wraps. 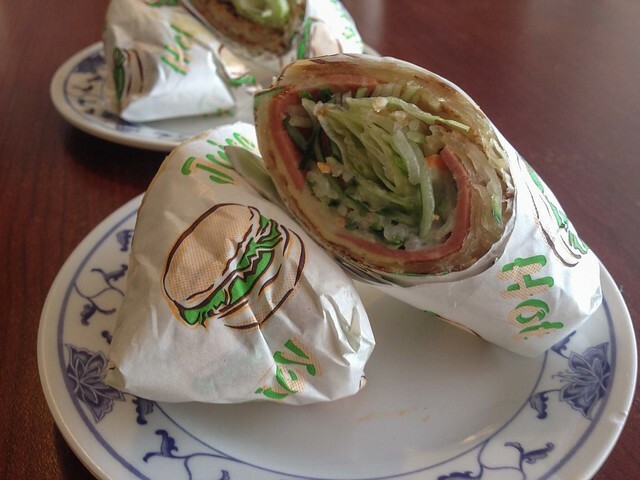 Between the 2 prata wraps, we prefer the ham and cheese Prata wraps as the melted ham blends very well with the mock ham in the wrap. 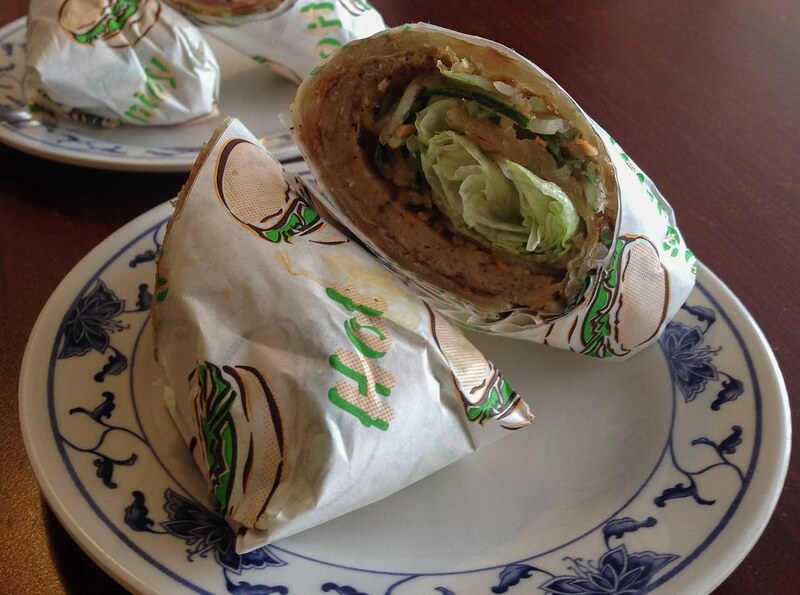 On the other hand, as for the black pepper prata wraps, we can only find a piece of black pepper steak in the wrap. The taste in the black pepper prata wrap is not strong. 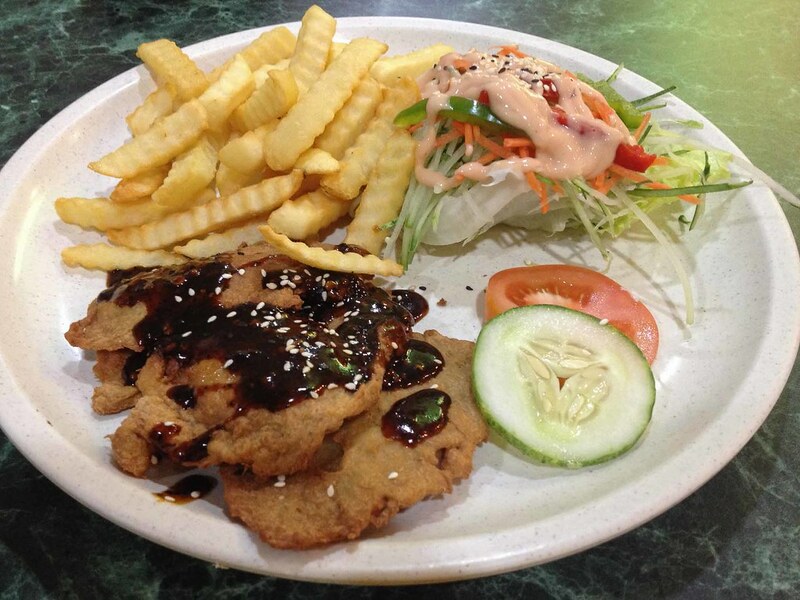 Nature Delights Serangoon sells a wide range of set meals. The Teriyaki Grill Fish Set comes with a plate of Teriyak Grilled Mock Fish, miso soup, jelly and rice. The jelly is firm and adequately flavoured. Miso Soup is not exactly our favourite soup but the taste here is not so overwhelming. The mock fish is quite salty probably being grilled with soy sauce. 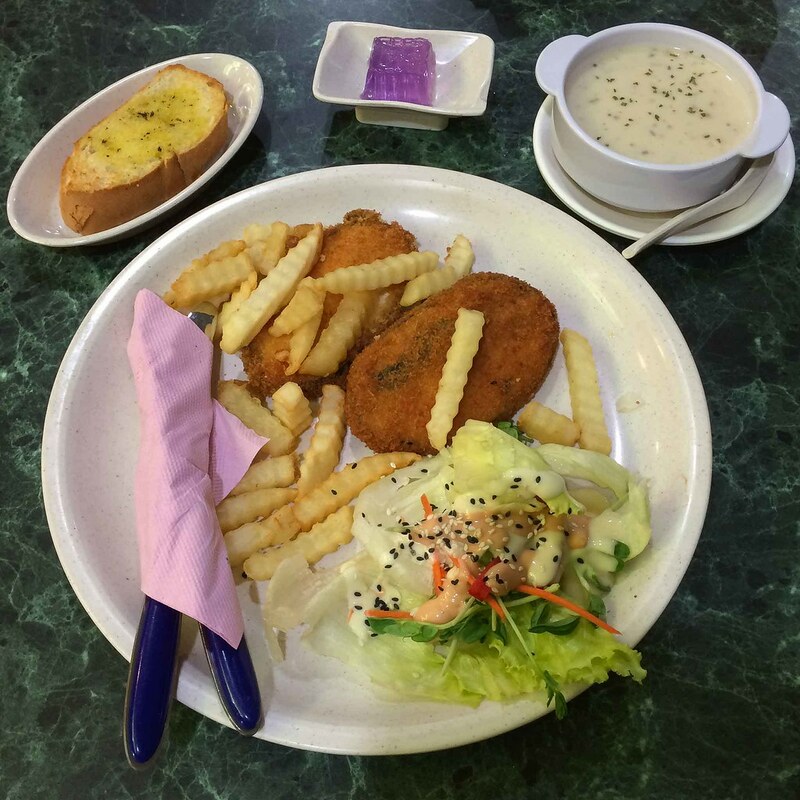 Black Pepper Steak Set Meal comes with fries, salad, jelly, french loaf and mushroom soup. We find the steak tender and not laden with flour. Also, the pepper sauce is quite good. The salad serving is generous and taste great. We suspect that the restaurant may have put some flavourings into the salad sauce. The cream of mushroom soup is slightly watery but tastes alright. The sauce of the seafood spaghetti set seem to be predominating tomato ketchup. Luckily it does not completely overwhelm the whole dish. The sliced mock prawn and fish cake are the off-the-shelf variety. 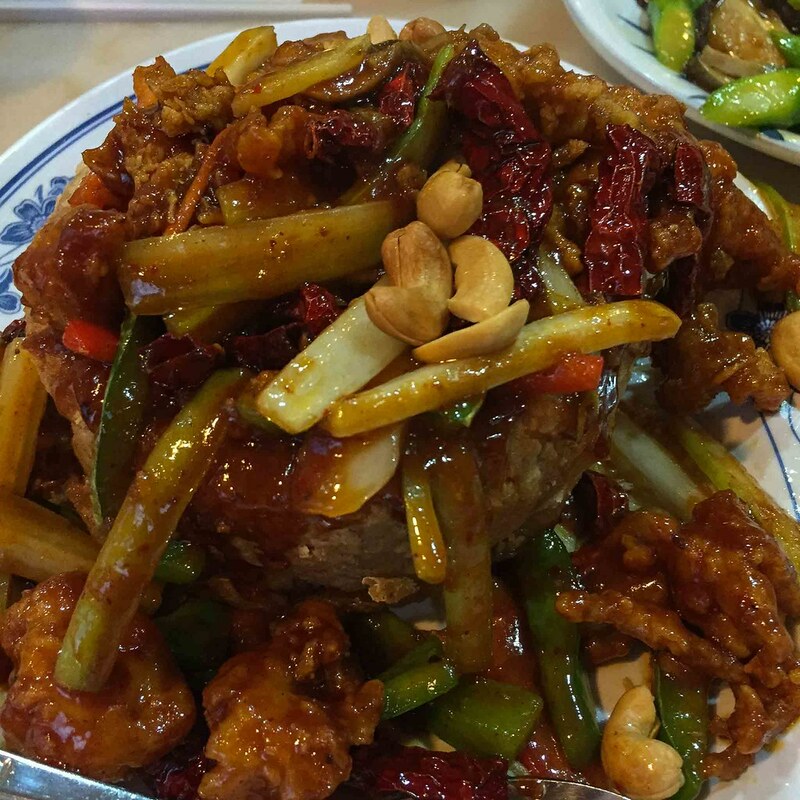 Overall, we find the dish to be above average. We recommend this dish when you are hard pressed for time. We love the soft potatoes and crispy cracker, but find the long beans stiff and needs more cooking. On the other hand, we wish the creamy curry can be more spicy. 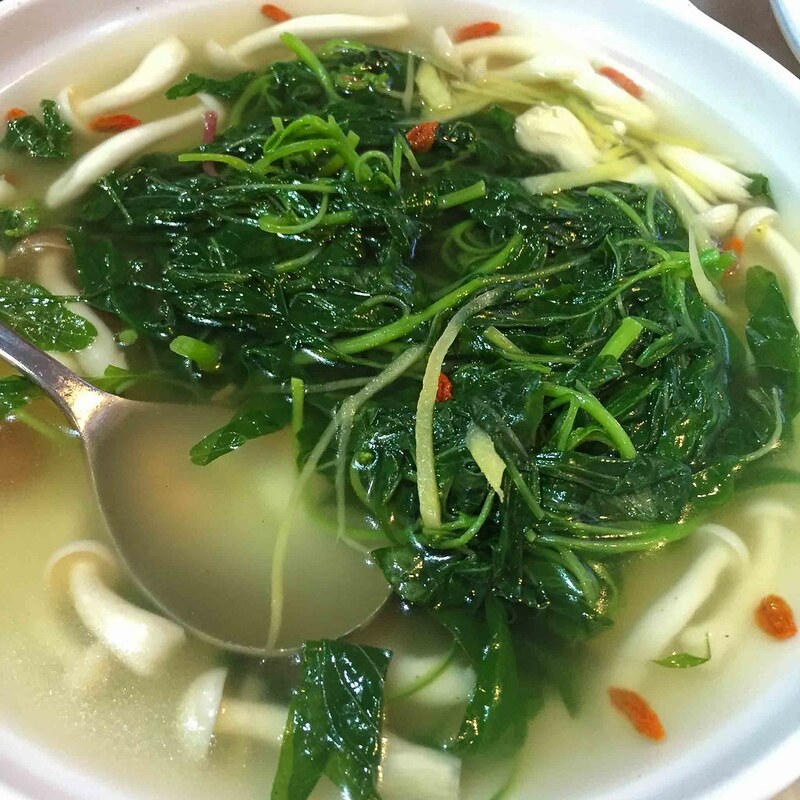 The soup tastes the same as the fish head noodles, due to the Sichuan salted vegetables and mock fish. This is a good dish to order if you are dining alone. 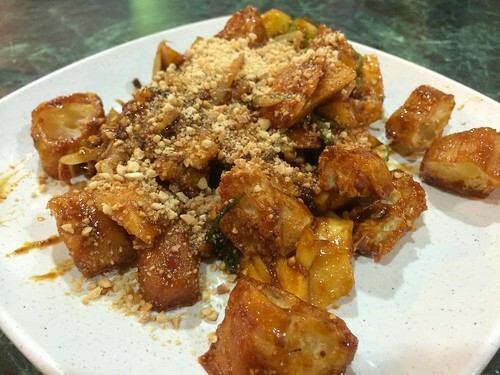 The Rojak has too much lemon sauce and lime, which makes it taste very sour. 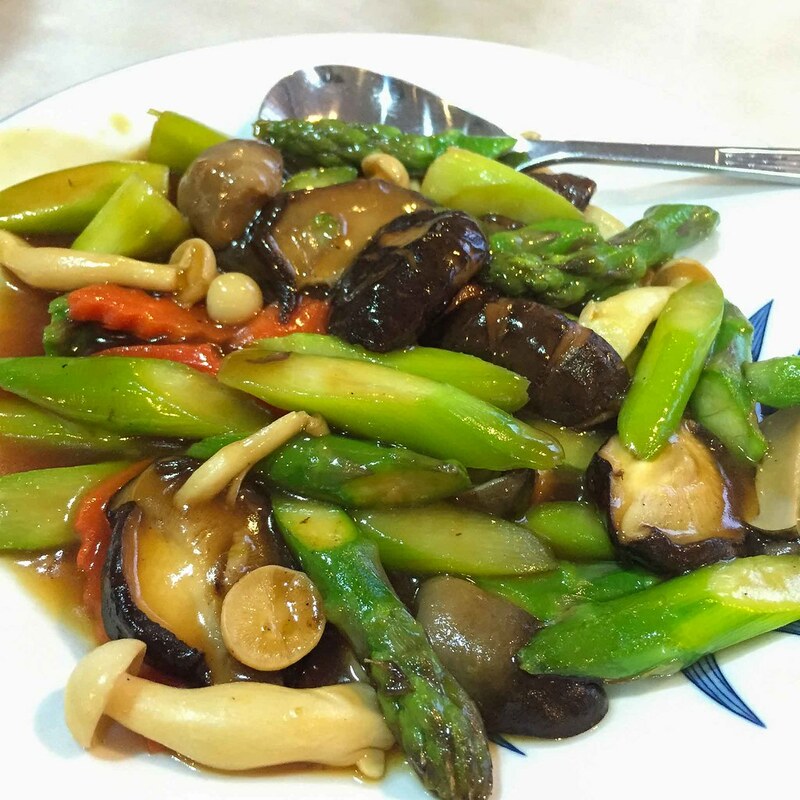 The restaurant will do well to add less flavourings as the ingredients are already sweet and sour. 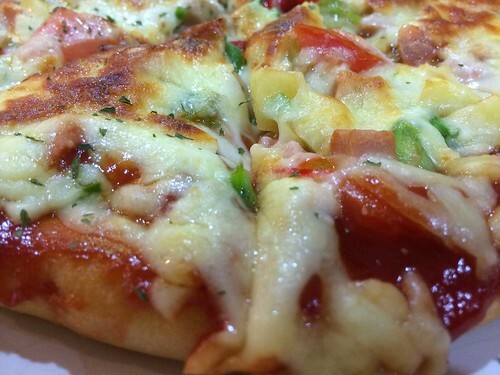 The pizza has too much tomato sauce, which makes it taste very sweet. The restaurant may just give us a bottle of Ketchup instead. The restaurant really knows how to cook up a big burger. It is so big that we cannot put in our mouth. We have to slowly cut it up with utensils. The texture of the mock meat patty is just right too. 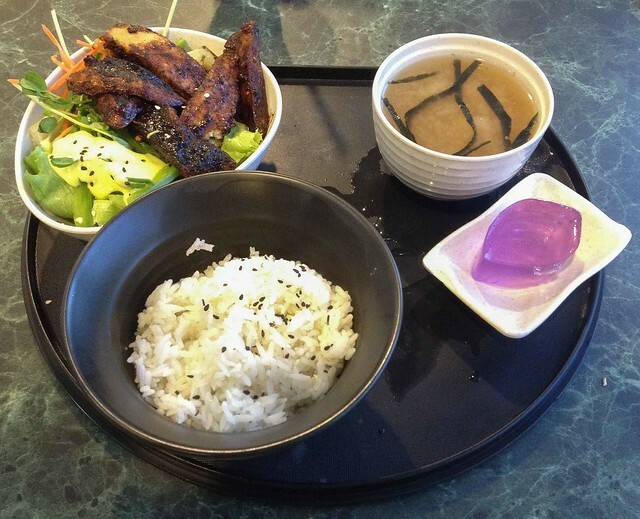 We recommend that you make a beeline for Nature Delights Serangoon if you are in the vicinity or visiting NEX. 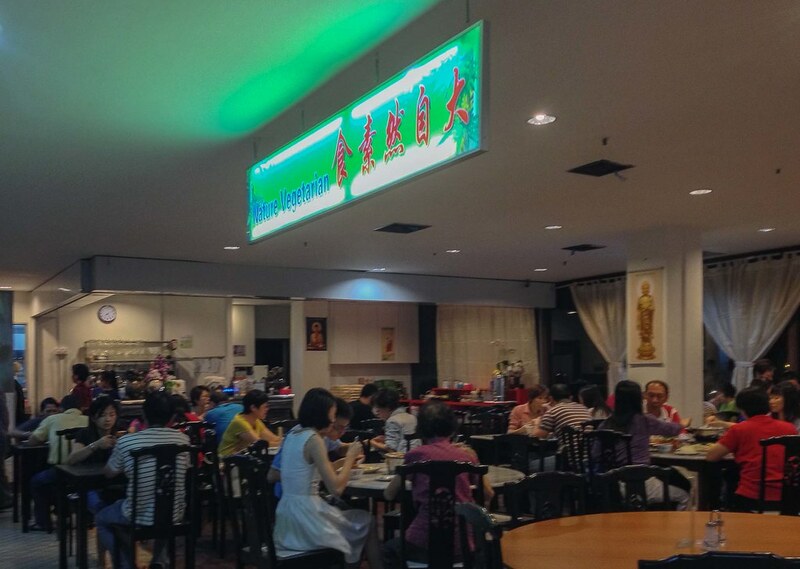 It is also a great place for family gatherings or outings, as there are plenty of tables in the restaurant. 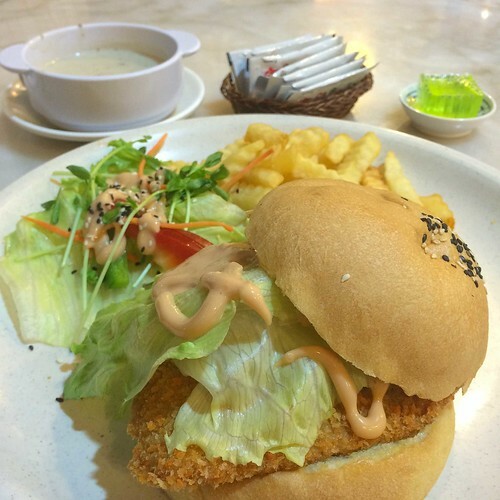 Nature Delights Serangoon is located 2 bus stops away from Serangoon MRT on the Circle Line. It is not at 04-26, but at 04-01. Thanks for the correction. We have updated the address. Which other vegetarian shops have the address?